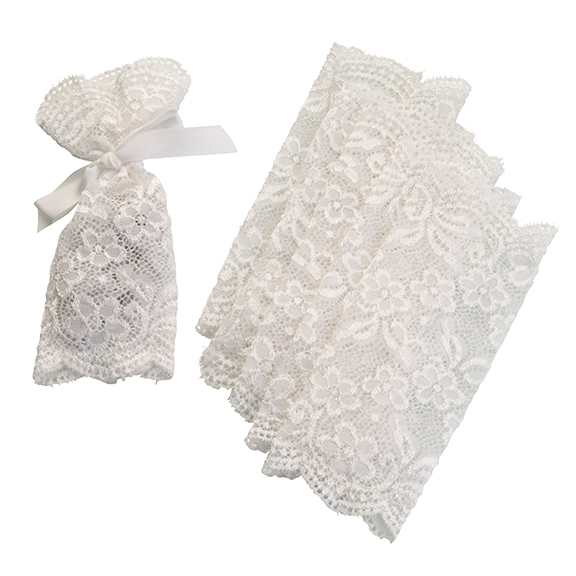 Ivory lace favor bags are a beautiful way to package a sweet treat and decorate the reception table at the same time. Ideal for adding a vintage touch to your wedding. Send guests off in style with these beautiful Wedding Favor Bags. The Ribbon Diva offers a large selection of elegant Wedding Ceremony Supplies.